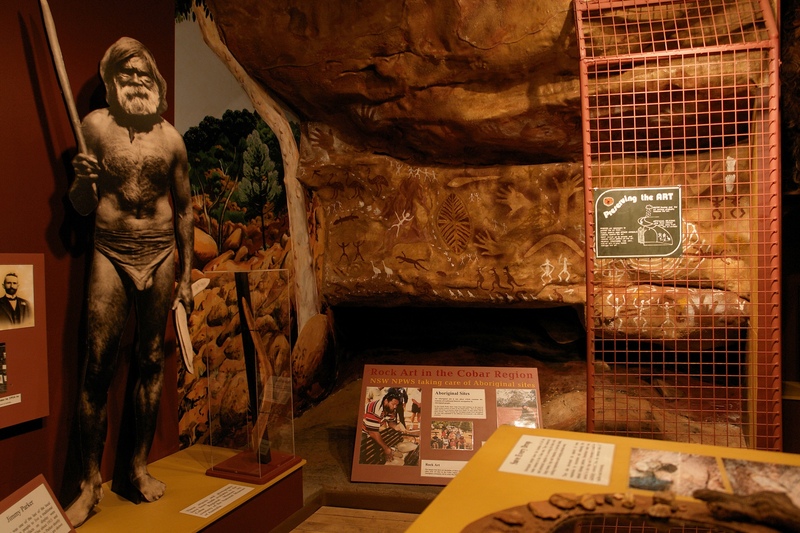 How have the rocks of the Cobar geological basin provided such riches? Who discovered that mineral wealth lay below the red soil? Find out in this exhibition. Photo: courtesy of Bruce Hutchinson. 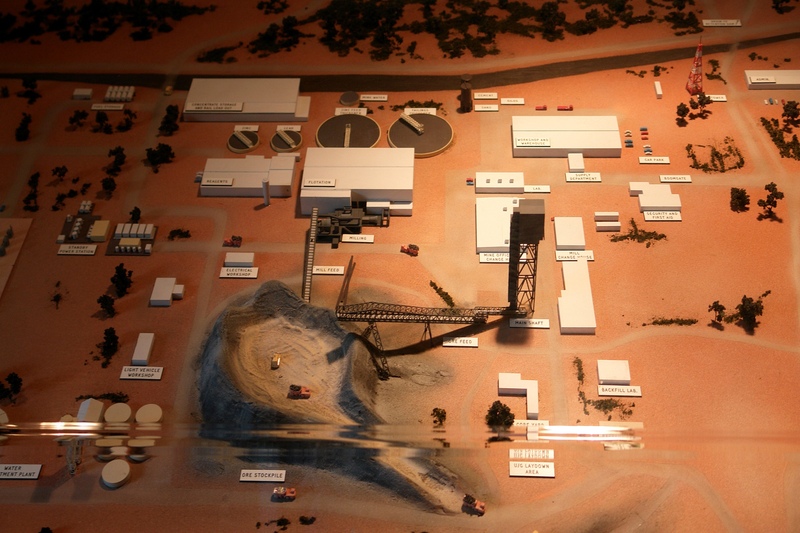 A fascinating model that shows of the surface and below ground developments at the old Elura Mine within the new Endeavor Mine exhibition. If you can’t go underground, go here! Photo: courtesy of Bruce Hutchinson. The Long Time Comin’ exhibition tells stories of the Wangaaybuwaan people from the past to the present. Photo: courtesy of Bruce Hutchinson. A shopping trip through Cobar shows how businesses, personalities, streetscapes and requirements have changed over time. Photo: courtesy of Bruce Hutchinson. Life was hard but it didn’t have to be miserable. 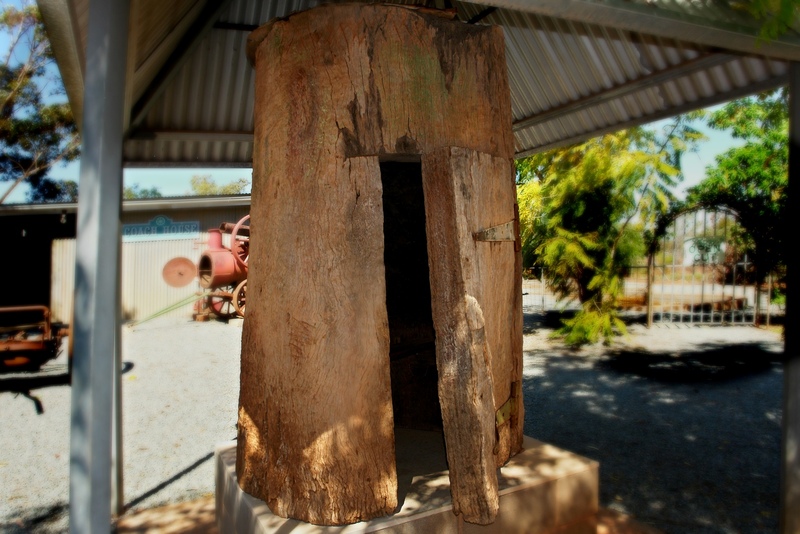 Local recipes, ingenious devices for dealing with pests, home-made utensils and decorations show the colour and interest of bush life. Photo: courtesy of Bruce Hutchinson. The renowned Royal Far West Children’s Health Scheme was founded in Cobar. 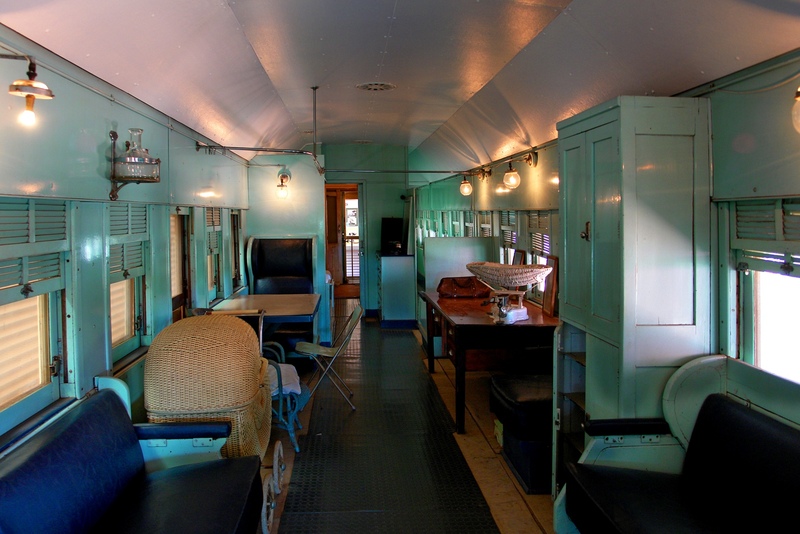 The exhibition is in a restored railway carriage, used by nursing sisters as a travelling Baby Clinic. Photo: courtesy of Bruce Hutchinson. The puzzle of the Mystery Tree – what was it used for? - is one of the many engaging exhibits in the outdoor area. Photo: courtesy of Bruce Hutchinson. 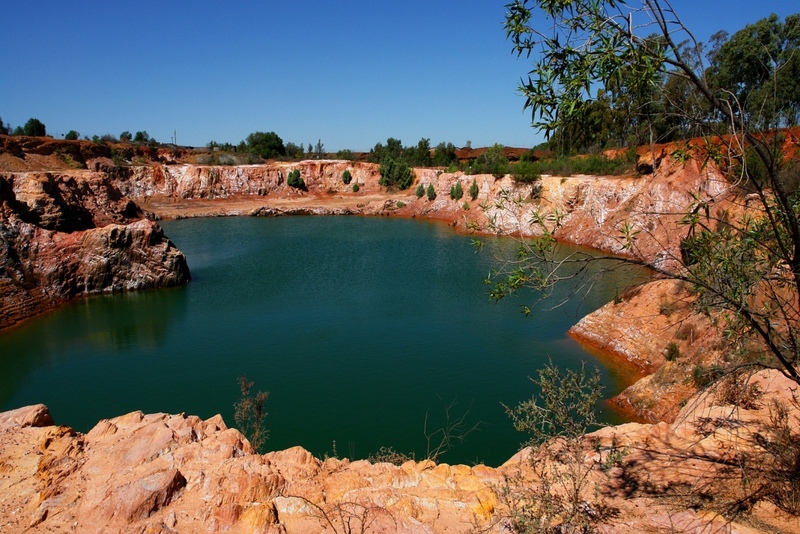 Take a walk down into the old Open Cut quarry to see some of the workings of the original Great Cobar Copper Mine. Photo: courtesy of Bruce Hutchinson. On a clear western night, travellers approaching Cobar could see a sky filled with blazing red light and intermittent splashes of silver and gold. What was this awesome spectacle that could be seen from over 20 miles? No. It was the smelter of the Great Cobar Copper Mine in full production. In 1911, Cobar was Australia’s leading producer of copper while gold and silver were found at nearby mines. 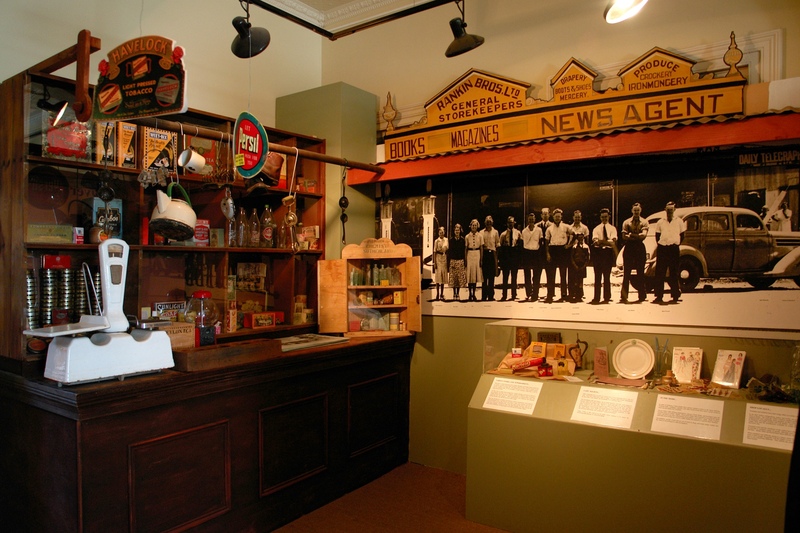 The richness of these mines is matched by the richness of Cobar’s history, all of which can be explored at the Great Cobar Heritage Centre. The Great Cobar Heritage Centre, completed in 1912, was originally the adminstration offices of the Great Cobar Copper Mine. The beautiful building is a fitting place for the diplay of Cobar’s history, having been not only part of a great mining operation but also having spent time divided into flats, as a derelict ‘haunted house’, and boarding house before becoming the museum. 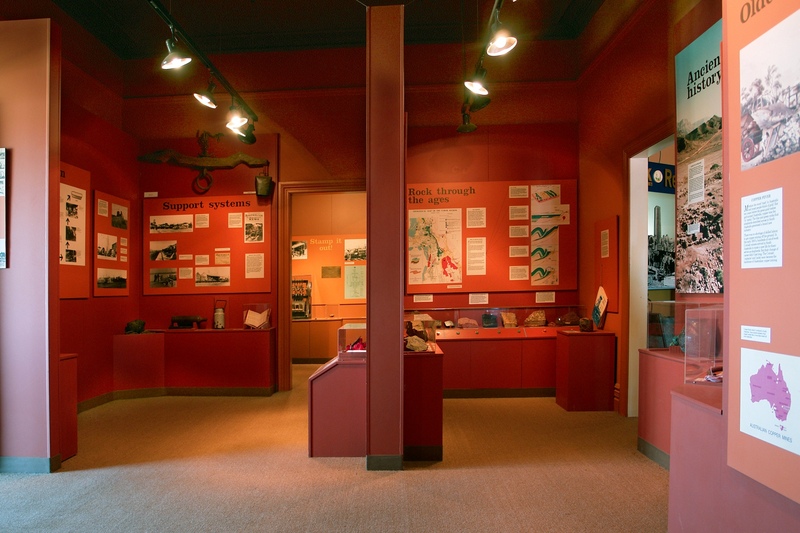 Old and modern mines are represented in new and constantly updated exhibitions with social, indigenous and grazing history exploring themes such as water, business, education and changing lifeways. 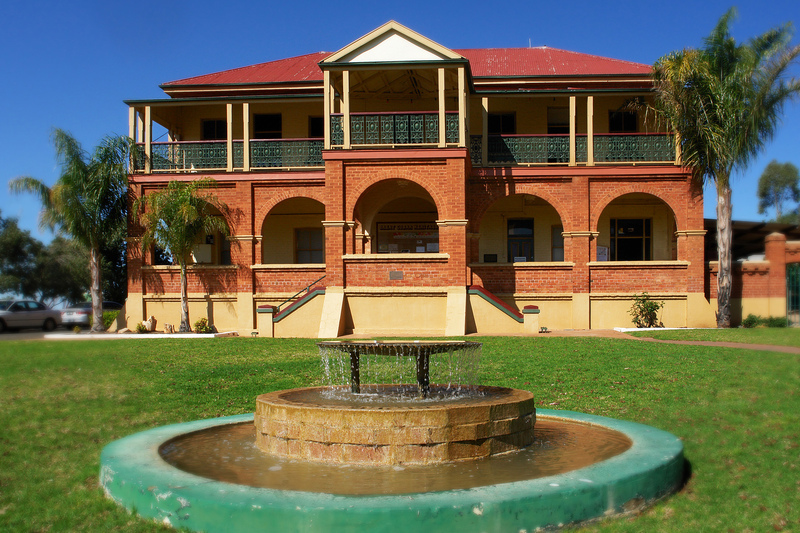 Cobar is particularly proud that it is the home of the Royal Far West Health Scheme, which still operates today. 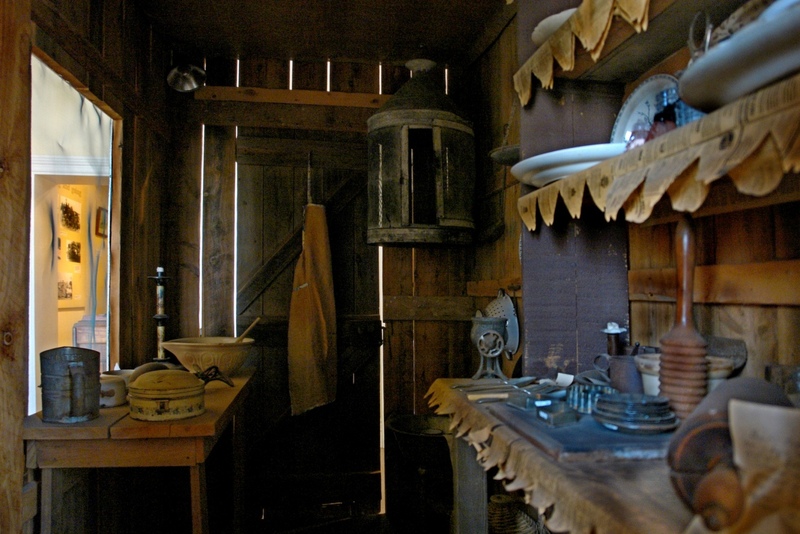 A restored Baby Health Clinic railway carriage is part of the extensive outdoor displays. Cobar is on the crossway of two major highways, the Barrier and the Kidman Way. No matter in which direction you are travelling, don’t miss the chance to stop a while and soak up some of the history and atmosphere of this very special place.